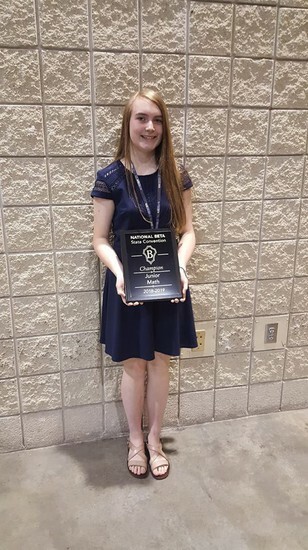 Miss Abby Speegle has been named the Alabama Junior High BETA State Math Champion for 2019. The Morgan County Board of Education will give special recognition to Miss Speegle for this accomplishment at an upcoming Board meeting. During their February 21, 2019 business meeting, the MCBOE approved a recommendation from the Superintendent to revise the current school year calendar, designating April 5, 2019 as an Early Release Day for students. Students will be dismissed at noon on April 5, 2019 in order to provide them with the opportunity to attend the Morgan County Schools Bicentennial Fine Arts Festival. The festival will be held at Celebration Arena, located at 67 Horse Center Road, Decatur AL 35603. The Morgan County School system is excited to announce that next fall, Danville High School, Danville Middle School, West Morgan Middle School, and West Morgan High School will join 178 Alabama high schools offering Advanced Placement (AP) courses and additional resources to help students earn a qualifying score on the AP exam. Administrators and teachers from these schools recently attended a training session hosted by A+ College Ready to prepare for this fall's offering of... Advanced Placement courses. A+ College Ready works to boost the number of students in Alabama taking and earning qualifying scores in math, science, English, social studies, and computer science Advanced Placement courses. Participating schools receive comprehensive teacher training and support for Advanced Placement students and teachers, as well as training for ALL teachers in grades 6-11 in math and grades 6-10 in science, English, social studies, and computer science. 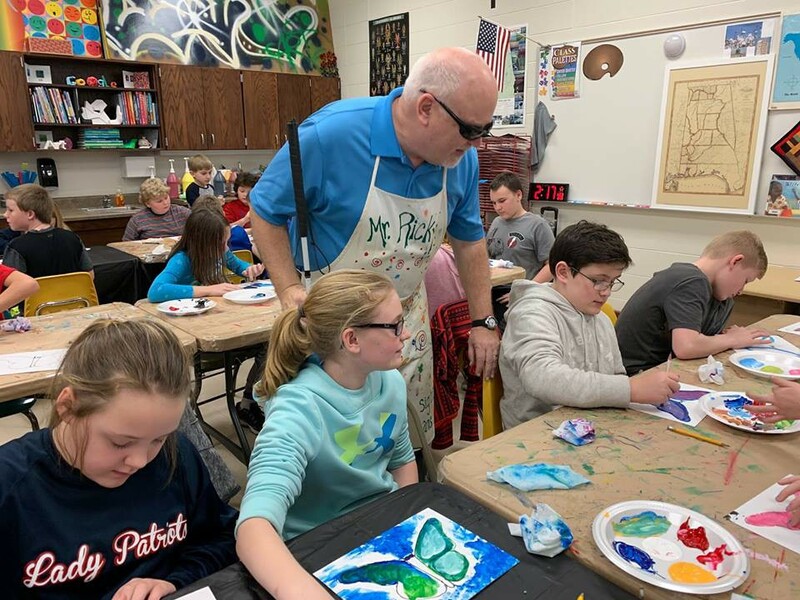 As part of the Alabama Arts Education Initiative Grant, Cotaco and Lacey's Spring School students were given the opportunity to meet several interesting Alabama artists, including Mr. Ricky Trione. Mr. Trione is a Fairhope, Alabama native who enjoyed drawing very realistically in pen and ink for many years. 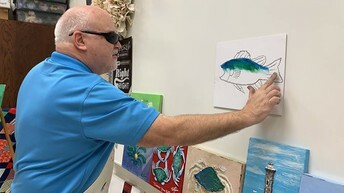 Due to two separate accidents that happened years apart, Mr. Trione lost his vision and had to give up most of his independence, including pen and ink art. 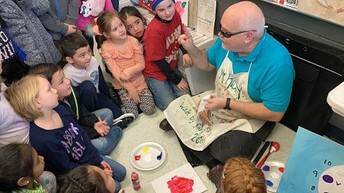 Mr. Trione e...ventually learned to create art by using textures so he could feel his way across a canvas, working in a 3D style that includes thick texture paints and molding compounds. Mr. Trione's greatest joy is getting to visit children of all ages in schools, art camps, and various special events. 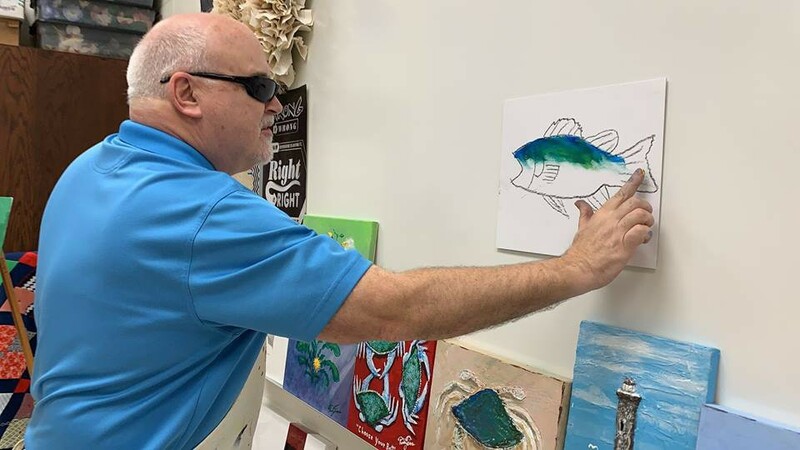 Mr. Trione offers children hope and inspiration while teaching special art lessons, demonstrating that you can enjoy being creative and artistic, no matter what obstacles come your way. We appreciate Mr. Trione's investment in the lives of our students. 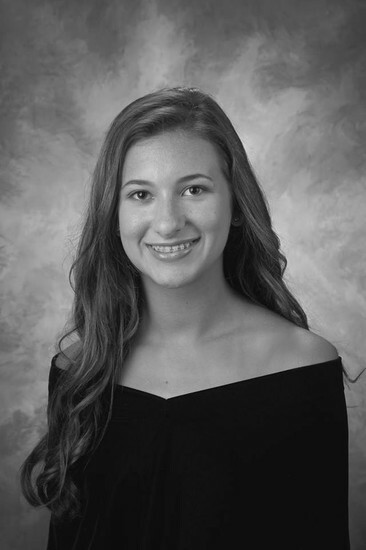 Falkville High School's Kari Watts has been selected as the Class 1A Section 7 Bryant Jordan Scholar-Athlete of the Year. 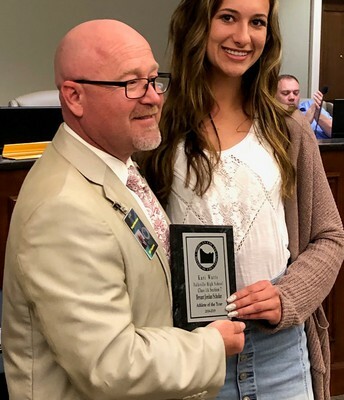 Miss Watts is one of eight regional winners statewide that will compete for the state level Scholar-Athlete of the Year. Kari was selected as the scholar-athlete because of her dedication in the classroom and her dedication to track and field. Students celebrated the birthday of Dr. Seuss last week during special Read Across America events held at our local schools. Morgan County Schools thanks all of our special guest readers for taking time out of their schedules to visit our schools and read to our students during RAA week 2019. 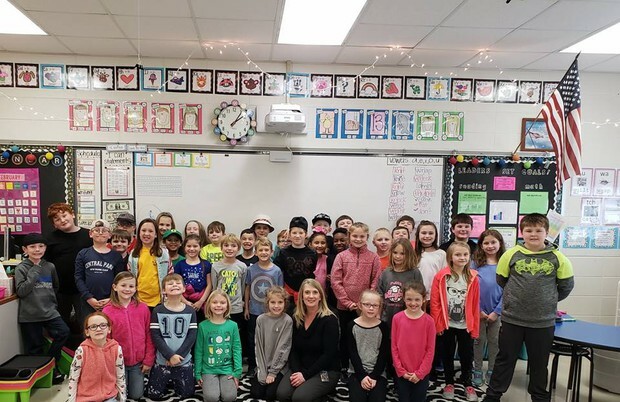 We are pleased to share a photo from RAA week 2019 at Priceville Elementary School. Students at Priceville Junior High School recently participated in the 2019 Great Kindness Challenge. At the heart of The Great Kindness Challenge is a simple belief that kindness is a strength. Students challenged each other, and themselves, to perform as many kind deeds as they could within a one-week time frame. Examples of "Kindness Challenges" included saying thank you to school volunteers, complimenting five people, working to maintain a clean campus and other various acts of kindness. Thank you to Joe Wheeler EMC for this recent advertisement concerning the Morgan County Schools Technology Park. 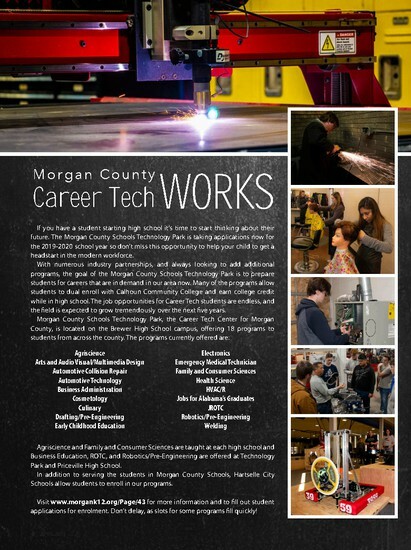 Please contact Dr. Jeremy Childers, Director of Career and Technical Education for Morgan County Schools, regarding the programs offered at the Morgan County Schools Technology Park: jrchilders@morgank12.org or 256-309-2111. The 2018-2019 Morgan County Math Tournament took place on March 8, 2019 at Priceville High School. The tournament included teams from Brewer High School, Danville High School, Falkville High School, Priceville High School, and West Morgan High School. Students competed in three divisions: Algebra II, Geometry, and Comprehensive. The competition consisted of two parts, written test questions, and a ciphering portion. We are pleased to share the competition results with yo...u. Comprehensive Division: 1st place, Brewer High School; 2nd place, Priceville High School; 3rd place, Falkville High School. Individual Winners for the Comprehensive Division: 1st place, Jacob Cappi, Priceville High School; 2nd place, Levi Kelley, Brewer High School; 3rd place, Noah Hunter, Brewer High School. Geometry Division: 1st place, Priceville High School; 2nd place, Falkville High School; 3rd place, Danville High School. Individual Winners for the Geometry Division: 1st place, Elijah Hopkins, Priceville High School; 2nd place, Alyssa Cook, Falkville High School; 3rd place, Cole Reynolds, Danville High School. Algebra II Division: 1st place, Brewer High School; 2nd place, Danville High School; 3rd place, Falkville High School. Individual Winners for the Algebra II Division: 1st place, Joshua Kelley, Brewer High School; 2nd place, Nick Whisenant, Danville High School; 3rd place, Gabi Vest, Danville High School. 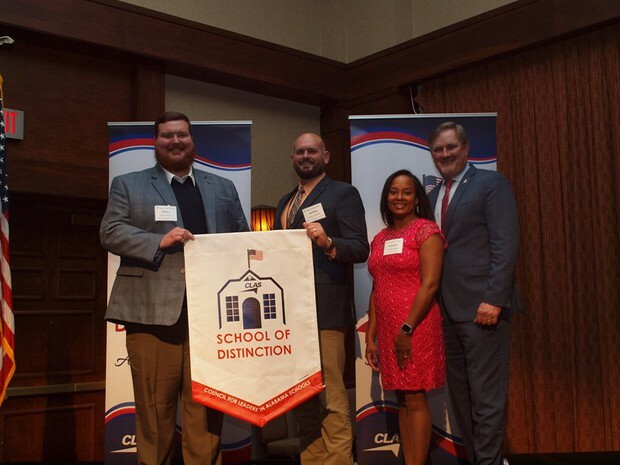 The Morgan County Schools Technology Park was recognized as a 2018 CLAS School of Distinction by the Council for Leaders in Alabama during their CLAS Banner School Recognition Luncheon held in Prattville. Pictured left to right: Mr. Glenn Winton, Auto Collision Instructor, MCS Technology Park; Dr. Jeremy Childers, Career and Technical Education Director for Morgan County Schools; Dr. Autumn Jeter, President-Elect, CLAS Board of Directors; Dr. Vic Wilson, Executive Director of CLAS. 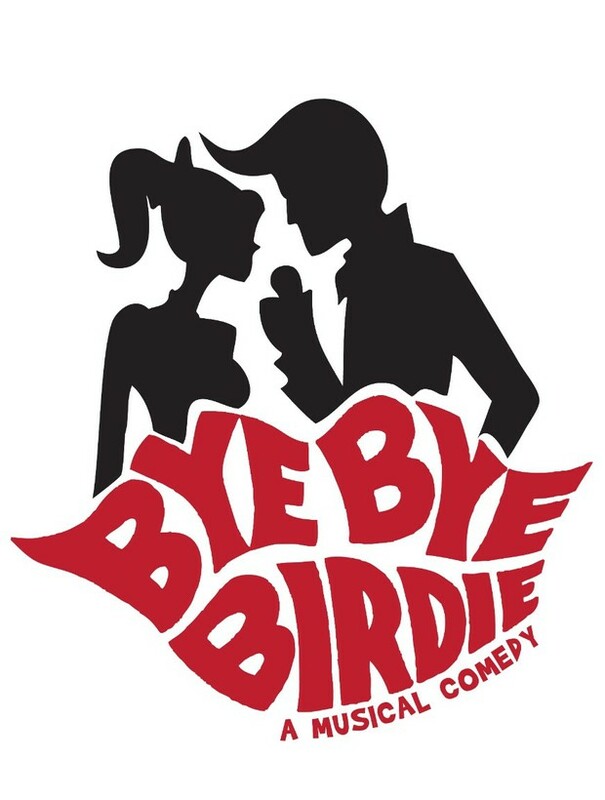 Morgan County Schools Hosts 2019 District Wide Play "Bye Bye Birdie"
Our students look forward to welcoming you to our system's 2019 District Wide Play, "Bye Bye Birdie." Performance dates and times: April 11, 2019-9:30 a.m. and 12:00 p.m.; April 12, 2019-7:00 p.m.; April 13, 2019-7:00 p.m. All performances will take place at Priceville High School, located at 2650 N Bethel Road, Decatur AL 35603. 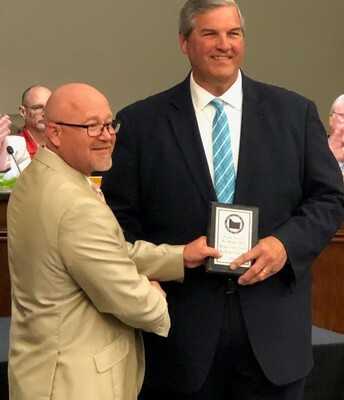 The MCBOE gave special recognition to several individuals during their March 25, 2019 business meeting. 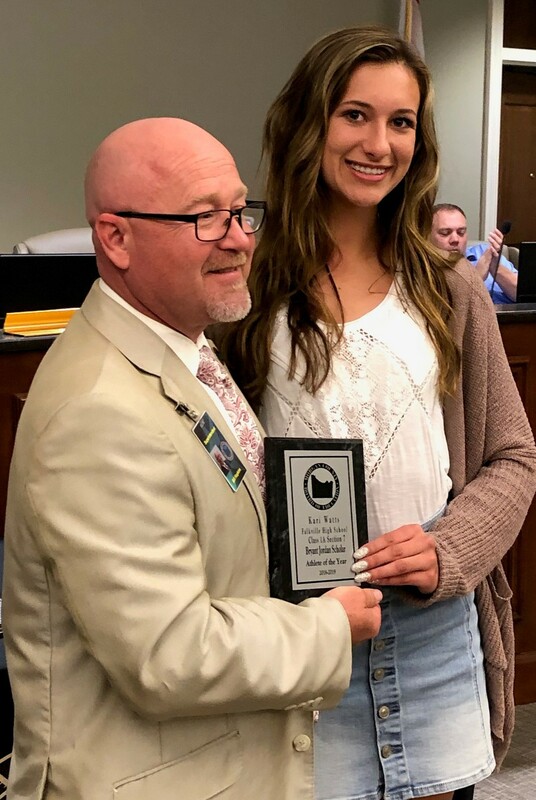 Miss Kari Watts from Falkville High School was recognized by the Board for being the recipient of the Class 1A Section 7 Bryant Jordan Scholar-Athlete of the Year Award. 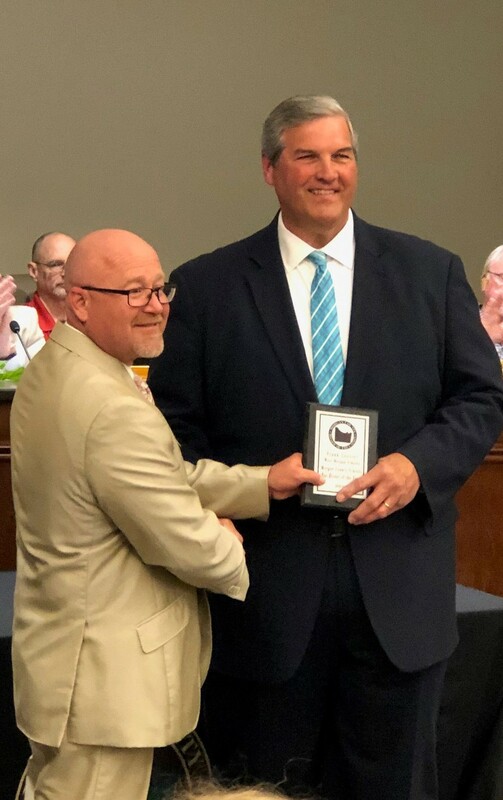 Mr. Frank Loosier, bus driver for West Morgan Schools, was recognized by the Board for being selected the Morgan County Schools Bus Driver of the Year. 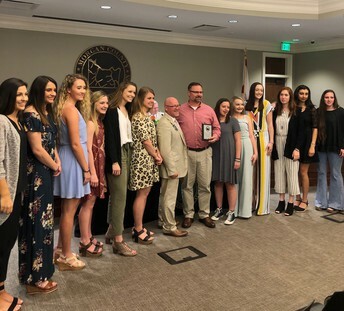 Members of the Albert P. Brewer High School Lady Patriots basketball team were recognized by the Board for being part of the AHSAA 2019 Class 5A Final Four, Northeast Regional Class 5A Champions, and Regular Season 5A Area 15 Champions. 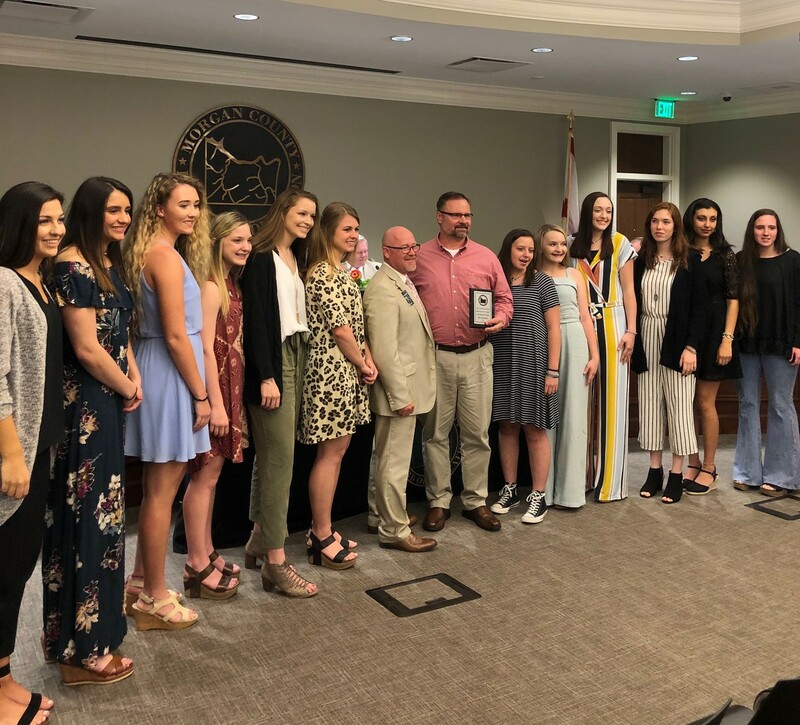 The team members are McCarley Northway, Hannah Graves, Madisen Adams, Jacie Andrews, Leisha Steger, Evaiah Burrows, Chloe Danylo, Elizabeth Alexander, Callie Couey, Hope West, Presley Wimberly, and Bronwyn Borden. The team coaches are Jeff Andrews, Colton Smith, and Malorie Walker. 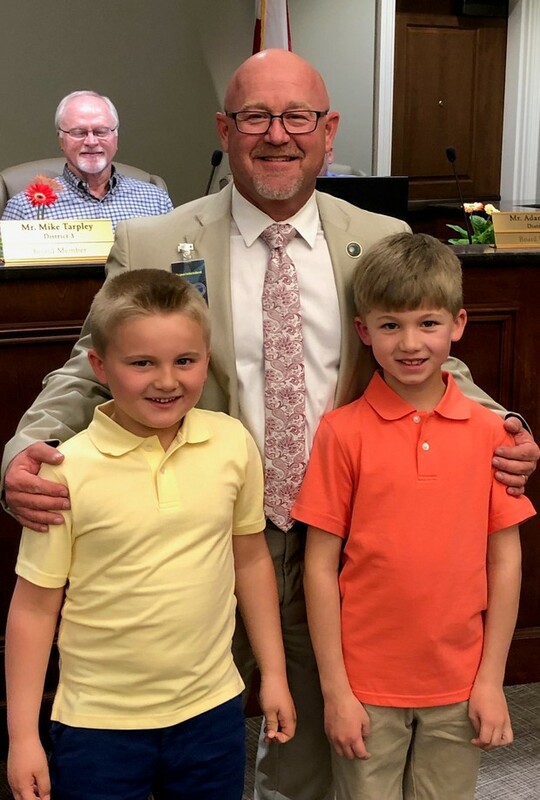 Falkville Elementary School students Judd and Grant Summerford assisted with Falkville Elementary's presentation during the Student Leadership Showcase.